This is the story of Stephen. He lives in Bournemouth and he shares how an encounter with Jesus changed is life from hatred, violence, cruelty and drug addiction... Come and hear! ~ Click on the appropriate link below to subscribe, share or download our iPhone App! Why I am a Christian? 1 John 5:9-12 - "We accept man's testimony, but God's testimony is greater because it is the testimony of God, which he has given about his Son. Anyone who believes in the Son of God has this testimony in his heart. Anyone who does not believe God has made him out to be a liar, because he has not believed the testimony God has given about his Son. And this is the testimony: God has given us eternal life, and this life is in his Son. He who has the Son has life; he who does not have the Son of God does not have life." A testimony is an assertion offering firsthand authentication of a fact. For the Christian Disciple, classically it is generally expressed as how they became a Christian Disciple. But I think it is more than just how, and should expressly include why you are a Christian Disciple. I wonder what is your testimony about how you became a Christian Disciple? When was the last time you thanked our God for your testimony? Have you even thought about your testimony of how you became a Christian Disciple? I am sure you have all heard kids in the supermarket yelling out "Why?" to their parents. We all have, I am sure, questions we want to know the answer to. Why? The question I am often asked is "You are a Christian. Why is it so?" My father, was and remained throughout his life a convinced agnostic and in the few conversations we had about religion and Christianity, he could never understand why it was, that I could not just admit that I would never know if God existed or not, far less a God who was personally interested in me. My reply as ever, was that the very question "Why is it so?" needed to be answered, in order for me to be satisfied. Now I could say that at the age of 12, we moved to a town on the coast of Australia, and was invited along to a local youth group and several weeks later, gave my life to Christ and became a Christian. Of course that is partly true. I can't even claim to be a Christian because I was raised in a Christian country. Australia was and is probably the second most secular country on this planet. Sure Australia has its moral base grounded in historic Christianity, but for the latter part of its history, Australia has been thoroughly secular and non-religious. Even if I had been raised in a country such as England, with Christian parents, that would also, only be partly true and I could have rejected Christianity as many people do. The reason that I am a Christian is not because I chased God, but rather He chased me. Unknown to me at the time, God was chasing me and following my every path with the urgency of a lover after the beloved, just as described in the Song of Songs 2:2-14. This piece of poetic Scripture speaks about the love that God has for his people, and the energy He puts in to calling his people to Himself. He is always reaching out, for all to return to His arms. As for me, it wasn't until I was a 12 year old that I heard that I needed to accept Jesus as my Lord and Saviour. Before that I didn't know I had to do anything with this Jesus. Jesus was only a curse word for me at the time. That or was just someone or something that the RE teachers bored me with at school. We are primarily Christians, not because we come to church services or just happened to have been born in a supposedly Christian country. We are primarily Christians, because God first chased and harried us into His arms. We are Christians, if you are one, because God first loved you. And as a tremendous lover, He beckons and calls people all the time to respond to His call, and back to Him. How does He chase us with His love? He chases each person differently, just as each Christian testimony is different. Take for instance the Apostle Paul in Acts 8 & 9. God chased him through Paul's mind and his religious upbringing and education. Paul had known about God from his childhood. Paul was a righteous Pharisee who saw persecuting these ‘Christians' as his religious duty, so that he may somehow find favour with God. As Paul was gloating over the death of the martyr Stephen, God was pursuing Him, probably raising doubts in Paul's mind as to why Stephen would say at the point of death "Lord Jesus, receive my spirit and forgive them for what they do" (Acts 7:54-60). Surely doubts must have been raised in Paul's mind as he approved of this death (Acts 8v1). Paul was also wrestling with his conscience. Externally he was a righteous man, a Pharisee of Pharisees. Yet when he internally examined himself and his heart, he found himself failing regarding covetousness, which is the last of the Ten Commandments. Then finally, Jesus himself makes a sudden and dramatic appearance before Paul and confronts him directly, "Why are you kicking against me? Why are you rejecting my advances?" (Acts 9) Paul's conversion to Christianity is often described as being sudden. But the only thing sudden about his conversion was this climatic appearance of Jesus. Just as that was true of Paul, it is true of me, just as it is true of all those who profess to call themselves a Christian Disciple. I am a Christian Disciple not because of anything I have done, but rather because He first chased me, and because He first loved me. Jesus himself said "I came to seek and to save the lost" (Luke 19:10). If you are a Christian today, it is not because of anything you have done. It is because of the events at Christmas and Easter that you are a Christian, when God entered this world as a human baby and took all the necessary steps so that all people could have the choice to be His people or not. In my more smug moments I used to congratulate myself for being a Christian. How proud I was that I, was a Christian and that God was a jolly lucky God that I had decided to follow Him. It was during one of my less self-deluded moments, that I examined myself and I found God pricking my conscience and correcting me, and I read the New Testament "For the Son of Man came, not to be served but to give His life as a ransom for many" (Mark10:45). This is the story of Donna, from Detroit sharing about her encounter with Jesus! Come and hear! G'day and welcome to Partake! We are now on day 30 of our series "Glimpses", looking at the story of the Bible in 30 days - from the time of creation through to the time of the fullness of redemption! Today we conclude this series, looking at when, as King Jesus Himself promised, that He would "come again". For believers in Jesus Christ, living almost 2000 years after Jesus spoke these words in Revelation 22v7, "Behold, I am coming soon", this is their hope. When will King Jesus come? Jesus frequently said during his earthly life, things like "I will come back and take you to be with me" (John 14v3). The angels after Jesus' ascension said to the disciples "Jesus will come back the same way He went to heaven" (Acts 1v11). When will this occur? No-one knows (Matthew 24v36) but we do know it will be unexpected (1 Thessalonians 5v1-3), that there will be events preceding His coming (Matthew 24) and occur after the gospel has been preached in the whole world (Matthew 24v14). What we also know is that believers are to be alert, ready, waiting, watching and working for God's kingdom (Matthew 24v42-44). His people, His church of all believers, are to be alert, self-controlled and encouraging each other (1 Thessalonians 5v6-8, 11)! Why will King Jesus return? He will come to judge the antichrist and his followers (Revelation 16v12-16, 19v11-16)! Jesus will come to bind Satan (Revelation 20v1-3). Finally, Jesus Christ will come and set up an earthly kingdom for 1,000 years (Revelation 20v2-7). Unsurprisingly there are many different views about this event, but there are two main schools of thought. They are Amillenialism & Premillenialism. Amillenial View - Primarily a figurative/spiritual interpretation. This view sees the Old Testament promises to Israel are being fulfilled in the church. The Millennium is the reign of Christ in the Church - the new Israel. The Church is already experiencing tribulation. Premillenial View - Christ will return to set up His kingdom on earth for 1000 years (Revelation 19v1-7). God promises to Israel of restoration, a future king and temple will await fulfilment. God has a separate programme for the Church. His coming is when Jesus Christ returns to take His people to be with Him (1 Thessalonians 4v16). The dead in Christ are raised and the living are changed (1 Corinthians 15v51-54) His coming to Earth will be to the Mount of Olives (Zechariah 14v4; Acts 1v11) with power and glory (Matthew 24v30) and everyone will see Him. What does Church History say? The view of the church for the first 200 years was that of a literal return of Jesus Christ, 1000 years after the coming of the Holy Spirit. Early church leaders such as Papias, Irenaeus and Justin Martyr taught this, and these men were not far removed from the Apostle John. Origen promoted the figurative (spiritual) method of interpretation and Augustine developed an Amillenial view, identifying the Church with the fulfilment of the Old Testament promises to Israel and this became official Roman Catholic doctrine. Many scholars later returned to the Premillenial (literal) view after the Reformation. At their resurrection, believers will have bodies changed into those like Jesus' glorious body (1 Corinthians 15v49; Philippians 3v21; 1 John 3v2), that wont be made of flesh and blood (1 Corinthians 15v50ff) and not just partly spiritual (Luke 24v39; 1 Corinthians 15v42, 53)! For those who are unbelievers, they will be resurrected (John 5v28-29) and cast into the lake of fire! What is the timing of these two resurrections? The first Resurrection will occur when Jesus Christ comes in the air to take his believers and followers (1 Corinthians 15v23; 1 Thessalonians 4v16). The second Resurrection, will be of the unsaved and unbelievers (Revelation 20v5, 11-13). Both believers and unbelievers will face judgement! There is a certainty of judgment for all people and King Jesus will judge the whole world with justice and mercy (Acts 17v31). Every human who has ever lived is destined to die once and after that to face judgment (Hebrews 9v27). Judgment of unbelievers: These people will stand before The Great White Throne of Judgment (Revelation 20v11-15) and as they didn't respond to Jesus' call of salvation, they will be cast into the lake of fire with satan and his angels (Revelation 20v15; Matthew 25v41). This punishment is everlasting (Matthew 25v46). Then there is talk of two places: heaven and hell. What are heaven and hell like? Both are physical places where every person will be in one or the other. It is either heaven or hell. King Jesus spoke of the reality of a literal hell more than anybody else! It is prepared for Satan and his demons (Matthew 25v41; 2 Peter 2v4); the wicked (Revelation 21v8) and the disobedient (Romans 2v8-9). It is for all those who openly rejected Jesus Christ during their earthly life (Matthew 10v14-15). As opposed to this place of Hell, there is Heaven! Characteristic of heaven will be: Joy (Luke 15v7-10), Rest (Revelation 14v13), Peace (Luke 16v19-25), Righteousness (2 Peter 3v12), Service (Revelation 7v15), Reward (Matthew 5v11-12), Inheritance (1 Peter 1v4), Glory (Romans 8v17-18)! Martin Luther exclaimed that heaven is "full of laughter!" There will be a new heaven and a new earth to replace the old heaven and old earth! This is the fullness of redemption, the whole story of the Bible that we have been looking at in this series. Do you know where you stand? Are you a believer or unbeliever? If you are not yet a believer, you can respond to King Jesus today and then you will not be without an excuse when it comes your time to face Him as your judge! He is ready and willing to take you as His own - right now. If you want to become a Christian believer right now, there are three simple steps to follow. Firstly, admit that you have done wrong against God and His ways. Secondly, believe and trust in Jesus. Call on Him, receive, trust, obey and worship Him, recognizing Him for who He is and what He has done. Lastly, confess Jesus as your Lord and Saviour. Once sin has been confessed, and Jesus is believed in and trusted as Saviour, then you are a Christian believer. Now you are ready as Peter writes in the Bible, "to grow in grace and knowledge of our Lord Jesus Christ" (2 Peter 3:18). Welcome to the family of God. Let us know if you have taken this step! Thank you! G'day and welcome to Partake! We are now on day 29 of our series "Glimpses", looking at the story of the Bible in 30 days - from the time of creation through to the time of the fullness of redemption! We saw last time Jesus making a sudden reappearance which resulted in the conversion of one of the main persecutors of the church - Saul, who later changed his name to Paul. We saw also a problem to be solved, it was done so judiciously and it was decided that salvation was by grace alone through Jesus' death on the cross and through the Holy Spirit alone. The church had begun to spread throughout the Roman Empire from its birthplace in Jerusalem. Remember back to the day of Pentecost and the Holy Spirit first came? The people there had gone back to their own countries and cities: places such as : Egypt, Arabia, Libya, Italy, Greece, Judea, Elam, Media, Mesopotamia, Cappadocia, Pontus, Pamphylia, Phrygia, Asia, Crete, Cyrene and Crete, parts of the Parthian Empire and of course even the headquarters of the Roman Empire, Rome! As far as we know, from the Bible record, the most effective missionary was Paul, and that's because most of what we call the New Testament consists of letters written by him. Here are the places he and his various teams of people visited on what we call his missionary journeys. You can read about them in the book of Acts. The first journey was to places such as: Antioch (Acts 13:4), Seleucia and sailed to Cyprus. From there they went to Salamis and Paphos (Acts 13:4-6). Then onwards to Perga in Pamphylia, which is now southern Turkey. At Antioch in Pisidia, Paul deliberately plans to take the gospel to the Gentiles (Acts 13:46). Then Iconium (Acts 14:3), Lystra (Acts 14:19), and Derbe. Where they went back to Lystra, Iconium, and Antioch (in Pisidia) (Acts 14:21), before going throughout Pisidia, Pamphylia, then to Perga, Attalia, and returning to Antioch in Syria (Acts 14:24-26). The second journey begins, Paul goes through Syria and Cilicia (now southeastern Turkey), coming to Derbe and Lystra, and then onto Phrygia and Galatia, before passing through Mysia to Troas, the island of Samothracia, and then to Neapolis in Macedonia (now northern Greece) and Philippi (Acts 16:14-34). Passing through Amphipolis and Appolonia, they came to Thessalonica. After teaching in Berea, Paul departed into Achaia (now southern Greece), to Athens (Acts 17:14-15). Then Paul then makes his first visit to Corinth (Acts 18:5)! 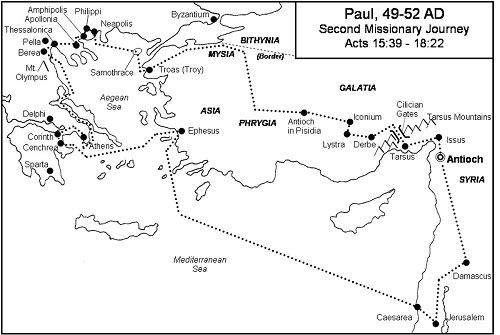 Paul leaves Corinth to go to Cenchrea and then across to Ephesus and Caesarea, before finishing up in Antioch in Syria. Paul's third journey begins in Galatia (central region of Turkey) and then to Phrygia (Acts 18:23) before arriving in Ephesus where he stayed for 3 years (Acts 20:31). Paul then went to Troas and continued to Macedonia (2 Corinthians 2:12-13 and 7:5). After going through Macedonia (northern Greece), Paul came to Achaia (southern Greece) (Acts 20:2-3), makes a third visit to Corinth before headed back to Macedonia (Acts 20:1) and onto Philippi (Acts 20:6). 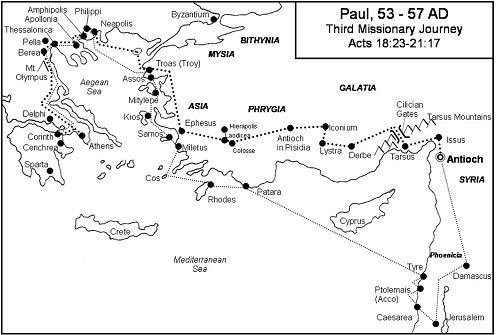 Following this, Paul went to Troas, Assos, Mitylene, Chios, Samos, Trogylium, Miletus (now in southwestern Turkey), Coos, Rhodes, Patara, Tyre (in Lebanon), Ptolemais and to Caesarea before finishing back in Jerusalem. Paul in Jerusalem, is beaten by the Jewish authorities (Acts 22) and taken to trial before them. Many Jews wanted to kill him (Acts 23:12) for his service to Jesus Christ. Paul is taken before the Roman Governor Felix at Caesarea (Acts 24:10) and when the reign of Portius Felix begins, Paul appeals to Caesar in Rome! Paul was a Roman citizen, he was innocent of the crimes bought against him and it was his right to appeal to the Roman emperor! So He did and Paul's final journey starts in Acts 25:11. The boat sails to Sidon, Myra (now southern Turkey) and on to Crete (Acts 27:7-13), Melita, near Sicily, Syracuse, Rhegium (southern tip of Italy), then to Puteoli (on the western coast of Italy). Finally, Paul ends up in Rome (Acts 28:30)! 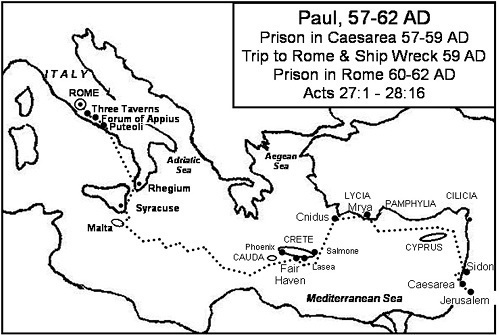 During all these journeys, Paul has endured persecution, beatings, stonings, whippings, imprisonment, mock trials and shipwrecks! In 2 Corinthians 11 you can read all that Paul endured and he sums it up 2 Corinthians 12:10 "That is why, for Christ's sake, I delight in weaknesses, in insults, in hardships, in persecutions, in difficulties. For when I am weak, then I am strong." Paul was an amazing man! Lets look now at some of the issues of the churches at that time, and we see this best by looking very briefly at some of the letters of the New Testament, written by Paul, Peter, John, James and Jude. Romans: Paul's letter to the church in Rome presents God's plan of salvation, which sees it extended to all of humanity based solely on Jesus Christ' work on the cross and received by an individual's faith in Him alone. 1 Corinthians: At Corinth, the church was an established church, taught by Paul, yet they were not living he had taught by him. Members of the church were living improper lives and Paul wrote to correct them, with the love of a pastoral heart. 2 Corinthians: here due to people doubting his integrity and authority, Paul presents his authority, message, sufferings, disappointments, responsibilities, blessings, and hope. Ephesians: Paul discusses the position of Christian believers before God - that they are now children of God! He then goes on to discuss the daily function of the Christian, including living a life worthy of Jesus Christ, supremely by serving others. 1 Thessalonians: Paul is unable to revisit this new group of believers who are under attack and persecution. He commences with some personal reflections and continues on to teach, stabilize, console and to encourage them in their Christian walk. 2 Thessalonians: The Thessalonian church is still enduring persecution. Central to this letter is Paul's concern for them regarding the coming again of the Lord, where some believed it had already occurred. 1 Timothy: Paul the apostle delegates authority to Timothy, his personal representative in Ephesus. His instructions include Timothy's life and ministry as an apostolic representative and about the organization, function, and edification of the church. This includes countering all kinds of false teaching about Jesus the Christ. James: James writes to scattered and leaderless Jewish believers who still met at a synagogue and were enduring hardship. James urges them to keep going and develop an active working faith that is actively working and to live a morally and ethically correct life. 1 Peter: Peter writes to believers undergoing suffering & persecution. He instructs them toward Christian stability, and the proper expression of this stability and growth. Peter stresses a hope that is alive, glorious and certain, and because of that can endure persecution and suffering. 2 Peter: Peter is dying as he writes this letter to a group of believers who are enduring trials and being confronted with false teachers. He also clarifies teaching about the Last Days. 1 John: John writes about fellowship which comes through obedience to the Word of God and through confession of sin when sin is committed. John also writes to tackle false Gnostic teachers who were challenging the teachings of Jesus' apostles..
Jude: Jude writes warning against apostasy, which is giving up and abandoning a belief in Jesus and going back to old ways. . He urges his readers to recognize the problem and fight for the faith. Through these letters of the New Testament, we see the early church dealing with issues of doctrine and teaching, countering false teachings about salvation and Jesus' return, warning against apostasy and encouraging wholesome living and service as believers in Jesus Christ. The church has grown and spread throughout most of the known world in obedience to Jesus' last command to go to all nations. This growth of the church is the greatest evidence of Jesus' bodily resurrection from the dead. His resurrection was the catalyst to turn 11 frightened men, his disciples, into the leaders of the early church. But Jesus also promised that He would come back again and that's what we will look at next time, in our final part of Glimpses! Thank you. G'day and welcome to Partake! We are now on day 28 of our series "Glimpses", looking at the story of the Bible in 30 days - from the time of creation through to the time of the fullness of redemption! We saw last time that the church has experienced some crises but overcame them with guidance from the Holy Spirit, prayer and wisdom. They would need that again, in another 2 events we look at tonight! King Jesus Makes An Appearance to Saul! Paul's conversion is perhaps the most famous throughout the history of the Church. Known as Saul, he had led systematic persecution of Christians, including the death of Stephen we looked at last time.. The only possible cause for his conversion is the beautiful sovereign grace of God. Why did Paul hate the believers so much? Because, To his mind at the time, to him a dead Messiah was no Messiah at all and how could the Saviour of the Jews, the Messiah, die on a cross and be cursed by God. No, no. Paul considered it his duty as a man zealous for the law, to eradicate all those who were followers of this man. Carrying letters from the High Priest in Jerusalem, he set out for Damascus in a bid to stop these Christians. He would arrive in Damascus, a proud and pompous man, bent on ridding the city of its followers of Jesus. But Jesus appears suddenly to Paul and speaks to him! God arrested Paul, shone his light upon him, the mercy of God overflowed upon him and the grace of God through Jesus overwhelmed him! Leading to his conversion, Paul had his sub-conscious doubts about Jesus amidst the stories of Jesus being raised from the dead! The witness of Stephen as Paul watched him die and pray to Jesus asking the Lord to forgive his enemies - for as the church father, Augustine comments "If Stephen had not prayed, the Church would not have had Paul!" The inadequacy of the Old Covenant and Law to save! He knew that his thoughts & attitudes were not clean for example his sin of covetousness. Therefore he had no inner power or peace! But what were the consequences of this conversion? His name was changed from Saul to Paul (Acts 13)! His attitudes, character & relationships with God, fellow believers and the unbelieving world were utterly transformed with the Holy Spirit now living inside him. Instead of arriving in Damascus full of pride & bravery, as a self confident enemy of Jesus, Paul entered Damascus as a prisoner of Jesus, humbled and blinded. But his conversion was initially met with doubt! The first person to minister to him was Ananias who was hesitant to do so but was persuaded by the Lord to do so! Other believers in Damascus also doubted Paul's conversion, but they were won over by the Holy Spirit and Paul's transformation. Jesus appointed Paul to be 3 things: a servant of God; a witness for God to the world, and also an apostle engaged in pioneer work to the Gentiles. Jesus confirmed this to Ananias that Paul was a 'chosen instrument', and Ananias passed this onto Paul (v15). His witness was centred on Jesus Christ..
His witness was costly. His life was often threatened and throughout his life he was persecuted against. Paul's experience of rejection in Damascus repeated itself in Jerusalem. When he tried to join the Apostles and Christian believers, they were afraid and doubted he really was a believer. But this time Barnabas to the others about him and his changed life. Paul was eventually accepted by them into the community of believers. godliness - living in the fear of the Lord. However soon after this, another problem - a matter concern doctrine! In Acts 15v1 we read "Some men came down from Judea and taught the brothers, "Unless you are circumcised after the custom of Moses, you can't be saved." At its beginning, the apostolic church was one church under the unitary leadership of the apostles. However a new problem arose! This problem arose because some men from Judea came to Antioch and promoted the view that circumcision was necessary for salvation and that certain regulations of the Old Testament law be required of non-Jewish converts as prerequisites for their recognition as members of the church of Jesus Christ. They were opposed by Paul and Barnabas, and as there was no final resolution, help was sought from the church in Jerusalem, still at this point the heartland of the Christian church. There was free debate and no papering over differences. The apostles let the elders speak before they joined in and it is clear that their goal was to know the mind of the Holy Spirit in the matter (Acts 15v28). The Apostle Peter rose after much discussion, and proceeded to demolish the Judaist viewpoint with arguments drawn from his own experience of ministry to Gentiles. He first described the conversion of the Gentiles as the work of God (Acts 15v 7-9) as they were filled with the Holy Spirit just as Jewish believers in Jesus were! This was proved by the Gentile Christians' faith, which was no different from their own (Acts 15v9)! Rising to a glorious crescendo, the Apostle Peter declared emphatically the very heart of the gospel: that salvation is by grace alone, both for Jews and Gentiles (Acts 15v11). Now doubt he reflected on the words of Jesus who said 'my yoke is easy and my burden is light' (Matthew 11v30). James, the brother of Jesus delivered the coup-de-grace to the Judaism argument with a direct appeal to the Word of God. God had already spoken on the matter! Quoting Amos 9v11-12, James reminded them that the prophet had declared that 'David's fallen tent' was be restored and that this would involve the in gathering of all the Gentiles who bear the Lord's name' (Acts 15v16-18). This is fulfilled, James says, in all that Peter had described (Acts 15:14). The church of Jesus Christ was all along intended to encompass both Jew and Gentile and, one by one without discrimination, they are brought to the same faith by the same Lord. This, James showed, was 'the mind of God", in the Scripture'. There was a definitive doctrinal proposal: 'We should not make it difficult for the Gentiles who are turning to God' (Acts 15v19). It told the Judaizing party in the gentlest possible way that what they were asking for was not the Lord's will for the church, and contrary to the gospel of God's free grace in Christ by faith alone. Then in Acts 15v20 there was a practical 4 point proposal to foster church unity by asking the Gentile Christians to take particular care to distance themselves from their former manner of life. Leave Alone: Gentiles were to examine critically their old habits and give no cause to anyone to accuse them of their old sins. They were also encouraged to be graciously accommodating to Jewish dietary sensitivities. For their part, Jewish believers needed to understand that Gentiles were not to be required to observe the Mosaic ceremonial law. Grace Alone: The apostles clearly taught that salvation was by the free and sovereign grace of God through faith in Christ alone. Council of Jerusalem held that line and closed the door on further discussion. Spirit Alone: They emphasised that the decision 'seemed good to the Holy Spirit and to the church' (Acts 15v28). Jesus had promised that the Holy Spirit would lead them into all truth (John 14v26; 16v13). Standing Alone: The council's four 'requirements', highlight the necessity and the blessing of the separated life for Christians and to "stand alone" from the world, whilst living in the world. 'You will do well to avoid these things' (Acts 15v29). The conversion of Paul and the Council of Jerusalem, led to the church maturing, going forward in unity and returning to the expansion of the Kingdom of Jesus Christ. But that is our topic for next time! Thank you! G'day and welcome to Partake! We are now on day 27 of our series "Glimpses", looking at the story of the Bible in 30 days - from the time of creation through to the time of the fullness of redemption! The birth of the church has come! The Holy Spirit has come to live within believers in Jesus Christ as the Messiah as part of the fulfilment of the New Covenant we have looked at. The early church was dynamic and seen to be exercising the authority of Jesus Christ. But a couple of problems arise, just as Jesus warned about, which could have caused the early church to die young. Let's read Acts 6v1 "But as the believers rapidly multiplied, there were rumblings of discontent. The Greek-speaking believers complained about the Hebrew-speaking believers, saying that their widows were being discriminated against in the daily distribution of food." So there is good news and bad news! Good news - they were growing! Bad news - but this had caused a problem as some widows were not being cared for! Hebraic Jews had always lived in the then nation of Israel, spoke mainly Aramaic and some Hebraic. They would have been well used to life in a Jewish society, the Temple and avoiding those who were not Jews: the Gentiles. Grecian or Hellenistic Jews were part of the Jewish Diaspora, born elsewhere within the known world and had returned to Jerusalem. These mainly spoke Greek, and were well used to working with Gentiles. Widows were and are important to God, God loves justice and mercy. The Apostles would have known about God caring for the widows and in Jesus teaching about justice for the poor and the oppressed. We know this because earlier in Acts 2 and 4, people were selling and sharing possessions and ensuring that people within the Christian community were being looked after and cared for. Somehow, unintentional or not, this group of widows were missing out. How was this crisis solved? So the Twelve called a meeting of all the believers. They said, "We apostles should spend our time teaching the word of God, not running a food program. And so, brothers, select seven men who are well respected and are full of the Spirit and wisdom. We will give them this responsibility. Then we apostles can spend our time in prayer and teaching the word." It's not stated explicitly, but a transformation had taken place! Only a short time ago, the disciples of Jesus had refused to wash feet as an act of service (Peter) and some had wanted positions of power and greatness (James & John). But as they are transformed by the indwelling Holy Spirit, they react much more righteously and judiciously - just as Jesus Christ would have done. WOW! Then they gathered all the believers together for a church meeting. They gave their opinion or judgment if you like, that their ministry or time would be better spent doing what God had called them to do - to be leaders of the Church, praying, preaching, evangelizing and discerning how best to apply the 3 years of teaching that they had had when travelling with Jesus Christ before His ascension. Note also that the Apostles didn't say their work was more important than serving. Other people in the church gathering, who had a ministry of service and overseeing the food distribution, could spend their time doing that! Acts 6v7 - So God's message continued to spread. The number of believers greatly increased in Jerusalem, and many of the Jewish priests were converted, too. The result was even greater growth now! This growth was where the word of God increased in its effectiveness in the lives of those unbelievers who would listen to the gospel. This growth was not merely addition but multiplication! So explosive was this growth, that even former enemies such as Jewish priests were becoming converts and started to believe in the bodily resurrection of Jesus Christ. The church was preaching one thing and acting upon it. There was no hypocrisy within the church. The church was transparent - it lived as it believed. The church was seen as transformative and servant-like. Transformation and change alone would not have been the catalyst for growth, without the reasoning behind it. Instead of being a withdrawn people filled with fear of retribution from the Roman government and Jewish leaders, they became a people filled with boldness and joy - serving God and others, just as Jesus Christ did. But there was one further problem and it was just as Jesus had warned them the night before His own crucifixion and had prayed for them! But a true crisis soon appears which almost caused the growing body of believers, the only church in existence at the time, to implode and die! All the power and passion of the early church, however, had a cost. The early church endured persecution from the Jewish authorities, keen to exercise authoritarian rule. The early church was persecuted for Jesus as the Messiah. What was the result of this persecution? The world was changing, particularly for the Jewish people. For centuries they had been expectant of a Messiah or Saviour. When the Messiah, Jesus Christ, did come - they missed Him. They had misunderstood what the Messiah was to do. The Messiah was not to lead a political revolution as they thought, but rather lead a spiritual revolution, bring people back into relationship with God. Just as we saw in the Old Testament Covenants. The worldview of the Jewish people needed to be changed and when worldviews need wholesale change of focus, problems arise. The embryonic church, was soon to feel pressure to revert back to old ways of thinking. It is not long into the book of Acts, and therefore the history of the church, that persecution arises. We see the first stages of this persecution in Acts 4v1-4. While Peter and John were speaking to the people, they were confronted by the priests, the captain of the Temple guard, and some of the Sadducees. These leaders were very disturbed that Peter and John were teaching the people that through Jesus there is a resurrection of the dead. They arrested them and, since it was already evening, put them in jail until morning. However somewhat surprisingly we then read in verse 4 that "But many of the people who heard their message believed it, so the number of believers now totalled about 5,000 men, not counting women and children." And we read in chapter 5v29, the response of the Apostles to this persecution and harassment: "We must obey God rather than any human authority. The early church was not going to just give up their beliefs! One example of this persecution is from Acts 6-7 and the first Christian martyr: Stephen. Stephen had reminded these Jewish leaders that God did not dwell in buildings made from stone, as in the Temple. For God had also been with his people in various places, such as Mesopotamia, Palestine and Egypt! Stephen reminded them also of how the Jews had always rejected God's messengers and now finally, they had killed God's Son, the Messiah, Jesus Christ. He also reminded them that what made somebody a person after God's own heart was not the physical circumcision but a circumcision of the heart. It was a spiritual revolution that occurred when a people were in relationship with the Living God, not just the outward appearance. His persecutors were livid with rage at this! Stoning is an awful and excruciating way to die. While Jesus had prayed to the Father in his dying moments, Stephen prayed to - Jesus! Stephen, sees Jesus in all his magnificent, glorious and heavenly majesty, and can only cry out to Him in such a way! Then finally he asks Jesus to forgive those who have killed him. We see in Stephen's final words, the reaction of a man full of faith and filled with the Spirit undergoing pressure. We see his love and faith put into practise when he exclaimed as his last words before dying, Acts 7v59 "don't hold this sin against them!" Looking on was the leader of his persecutors, Saul. If the New Testament church had known that Jesus did not rise from the dead physically, would the church have grown like it has over 2000 years? Would people like Stephen, have knowingly died, or undergone systematic persecution, for a known lie or mistruth? Our study next time, we will look at how King Jesus makes a brief re-appearance, the church moves on from these "problems" and commences fulfilling the command of Jesus to go to all nations with the good news about Him. Thank you! G'day and welcome to Partake! 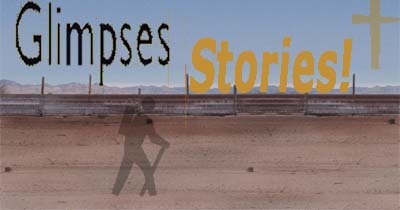 We are now on day 26 of our series "Glimpses", looking at the story of the Bible in 30 days - from the time of creation through to the time of the fullness of redemption! Jesus has died, rose again from the dead, ascended back to the right hand of the Father - all just as he said he would. The physical resurrection of Jesus Christ was the catalyst for the beginning of the church but the empowerment was to come, as promised by Jesus! Since his resurrection he has given his disciples instructions, including the command to go make disciples of all nations with the message he gave them! Then he told them to wait in Jerusalem! But for who? Remember they were still hopeful of Jesus returning to defeat the Roman Empire and install a political kingdom of God! But they were wrong and soon found out they were wrong! So they waited, but for what, or rather, who? Acts1:12-14 Then they returned to Jerusalem from the mountain called Olivet, which is near Jerusalem, a Sabbath day's journey away. When they had come in, they went up into the upper room, where they were staying; that is Peter, John, James, Andrew, Philip, Thomas, Bartholomew, Matthew, James the son of Alphaeus, Simon the Zealot, and Judas the son of James. All these with one accord continued steadfastly in prayer and supplication, along with the women, and Mary the mother of Jesus, and with his brothers. Pentecost derives itself from the Old Testament festival known as the Jewish Feast of Weeks or Shavuot. This feast consisted of the first-fruits of the wheat harvest and selected animals were sacrificed, all as an act of thanksgiving to God, according to the Law given to Moses (Leviticus 23:15-20). But it was soon to change its meaning under the New Covenant. It became Pentecost, the Greek word for ‘50 days', and marks the birthday of the church! What is the birthday of the church? That is the day when the Holy Spirit came down and empowered the disciples for service! The day now known as Pentecost celebrates the day when, as promised by Jesus, as part of the New Covenant (remember that), the Holy Spirit came down to live inside the disciples of Jesus Christ, and empower and transform them! Take Peter for an example! Just a few days earlier he had rejected Jesus Christ and openly defied Him by trying to stop Jesus going to the cross. This Peter, who was dejected and defeated because he had put everything into following this Jesus. In the early chapters of the bible Book of Acts, we see all disciples being transformed. Some were affected in amazingly spectacular ways and others in more placid ways. Let us concentrate on Peter for a good example of this. This is now a new Peter, transformed by the indwelling Holy Spirit, who speaks with the authority Jesus gave the disciples. Peter, given impetus by the Holy Spirit, preaches a sermon and 3000 people are added to the church in one day (Acts 2v41). This Peter, who when passing by a man who couldn't walk, told him to get up and walk - and he did (Acts 3v1-11)! A WOW moment for sure! Peter was allowing himself to be controlled by the Holy Spirit and doing some of the things that were synonymous with Jesus' earthly ministry. What is the difference between this Peter and the Peter before Jesus' resurrection? It was only the Holy Spirit, the empowerment and the difference He made to Peter. Peter, by submitting himself to the authority and power of the Holy Spirit, was allowing the Holy Spirit to control him and guide him. This Peter, who we know from the Gospel accounts, had no self-control, yet now had self-control because he submitted to the Holy Spirit. The greatest evidence of the Holy Spirit living inside of humans, is the transformation of the individual into the image of Jesus - as demonstrated by our example, Peter. This Peter who allowed the Holy Spirit's power to heal people also administered church discipline as in the case of Ananias and Sapphira (Acts 5v10). But it wasn't just Peter who was empowered. As Acts 5v12-16 shows us, all the followers of Jesus, not just the twelve apostles, filled and controlled by the Holy Spirit, were able to do healings and other miracles. Not just those more spectacular gifts of healing, miracles etc but also gifts such as mercy, generosity, helps and service. The Holy Spirit, living inside and empowering all believers, for service of Jesus Christ, not just the original 12 apostles or disciples. That is one of the reasons the early church grew phenomenally and more about that growth later on in this series! But who is the Holy Spirit? Good question! In the Old Testament the Spirit makes appearances but only comes on one person at a time during that time. David is a good example of that! There was to be a time when He would live inside all believers in God through the Messiah! That's under the terms of the New Covenant as This is part of the fulfilment of the New Covenant, where the Almighty and All-powerful God would indwell those who follow him. Throughout his ministry Jesus had often talked about how after he departed back to the Father, that the Holy Spirit would come. The Holy Spirit is spoken of as God (1 Corinthians 3v16). The attributes of God are ascribed to the Holy Spirit - life (Romans 8v2), truth (John 16v13) and love (Romans 15v30). The Holy Spirit is also a Person and is always referred to as ‘He' in the New Testament (John 16v14). He relates to humanity as a person for he lives inside the believer as comforter, guide and teacher (John 14). He can be blasphemed against and be grieved (Ephesians 4v30). Wherever the Holy Spirit is, the Father and Son are also present. (John 14v18-23). Throughout the Book of Acts and in the other New Testament writings we discover more about the Holy Spirit. We see His prime role to glorify Jesus Christ as the Son of God (John 16v13-14), to testify for Jesus Christ (John 15v26) and witness for Jesus Christ (Acts 1v8) to humans. The Holy Spirit is involved with ministering to members of the church, as Jesus would be if He were there physically. There is more about the Holy Spirit if you search on this website! With all this, the Holy Spirit also equipped all the followers of Jesus for service, to will and to act accordingly to those purposes. We see in the rest of the Book of Acts, how the Holy Spirit empowered the early church and gave them impetus. Transformation and service are the key working practises of the Holy Spirit and we will His handiwork in our next episode as we see the Church begin! The Pharisees and Sadducees are long gone. The Roman Empire collapsed. But... But... But... Jesus' church still stands, is still growing, and will one day be joined with Jesus in eternity, to the praise, honour and glory of Him who will return in majesty, just as He promised! More about that later on in this series! So that's the birthday of the church! What happened next is what we talk about tomorrow! Thank you! King Ascends and a Final Command! G'day and welcome to Partake! We are now on day 25 of our series "Glimpses", looking at the story of the Bible in 30 days - from the time of creation through to the time of the fullness of redemption! Jesus has died, just as he said he would. And what's more, He rose again from the dead, again, just as he said he would. Appearing to both individuals and groups of people, at various times of the day, engaging in conversations and even eating! Today we look at what happened next! Reading Matthew 28v16-20 - Then the eleven disciples went to Galilee, to the mountain where Jesus had told them to go. When they saw him, they worshiped him; but some doubted. Then Jesus came to them and said, "All authority in heaven and on earth has been given to me. Therefore go and make disciples of all nations, baptizing them in the name of the Father and of the Son and of the Holy Spirit, and teaching them to obey everything I have commanded you. And surely I am with you always, to the very end of the age." Jesus' resurrection is the catalyst for the mission of the church, beginning with the disciples and throughout history. Jesus Christ was the fulfilment of the Old Testament covenants we looked at! His mission to earth is coming to an end and shortly He will be returning to the right hand of the Father. Before He does so though, He has some more words to say to His disciples. Throughout the Gospel of Matthew, Jesus' authority is a major theme. Where Matthew records Jesus doing miracles, this is to highlight Jesus authority in action and not just merely in words. Matthew records Jesus' authority to forgive sins (Matthew 9v6) and he imparted authority to his disciples for a short time when they went on a mission in Matthew 10. Jesus has authority (Matthew 28v18) over all things, all people, all circumstances and happenings. Jesus has authority over all spiritual beings, whether angels or demons. Jesus has authority over all nations, ideologies, religions, governments and rulers. Jesus has authority over all earthly and spiritual authorities. Jesus has the authority over sexuality and personality. Jesus has the authority over all things! This means regardless of what ever the disciples encounter, Jesus is in control. Therefore, his disciples were to obey him without fear of retribution from those who would seek to harm us. It means obeying him regardless of the circumstances. It would be a great comfort to know, that he is in control of everything!! Through his death on the cross and his rising from the dead, Jesus has conquered all enemies. Now sometimes authority is confused with authoritarian. Authoritarian means severe, rigidity and a dictator. None of these applies to Jesus. His disciples, should choose to exercise free will to obey him and live a life worthy of him. If Jesus had not risen from the dead, then the disciples would not have had a story to tell. But Jesus had indeed risen from the dead, and the early church exploded numerically as the twelve disciples exercised Jesus' authority and His power. We read about the growth of the early church in the Book of Acts and more of that to come later in the series. Ever since Genesis 3 and the fall of man, God has been on a mission to bring and call people back to himself. We saw that mission in this series through the covenants made between God and humanity. That was the purpose of the nation of Israel, to be a light to all nations of the goodness and glory of God! That was purpose when God, who is outside of time and space, entered human history taking on human flesh and restricted himself in a human body as the man we know as Jesus Christ. Jesus' whole mission was one of calling people back to life in God. Now Jesus is leaving his disciples once more. Jesus has died and come back to life again, thereby defeating death. But he now tells his disciples he is leaving to return to the Father and the job is up to them to spread this good news about the kingdom of God, he has initiated! He tells them to make other disciples, to baptize them just as they were baptized and teach those people what Jesus had taught them himself! But how were they to do this? Reading Acts 1v3-11 During the forty days after his crucifixion, he appeared to the disciples from time to time, and he proved to them in many ways that he was actually alive. And he talked to them about the Kingdom of God. Once when Jesus was eating with his disciples, he commanded them, "Do not leave Jerusalem until the Father sends you the gift he promised, as I told you before. John baptized with] water, but in just a few days you will be baptized with the Holy Spirit." So when the disciples were with Jesus, they kept asking him, "Lord, has the time come for you to free Israel and restore our kingdom?" He replied, "The Father alone has the authority to set those dates and times, and they are not for you to know. But you will receive power when the Holy Spirit comes upon you. And you will be my witnesses, telling people about me everywhere-in Jerusalem, throughout Judea, in Samaria, and to the ends of the earth." After saying this, he was taken up into a cloud while they were watching, and they could no longer see him. As they strained to see him rising into heaven, two white-robed men suddenly stood among them. "Men of Galilee," they said, "why are you standing here staring into heaven? Jesus has been taken from you into heaven, but someday he will return from heaven in the same way you saw him go!" Mark 16:14-19, Luke 24:50-51 and Acts 1v1-12, we read about Jesus physically ascending into the heavens. He is returning, as He said he would do, to the right hand of the Father. During their last discussion with Jesus, the disciples were still expecting him to lead a revolution against the Romans (Acts 1v6). Despite all Jesus had said to them in the previous 3 years, they still did not understand that Jesus had come to lead a spiritual kingdom and not a political kingdom. Hence He tells them to go back to Jerusalem, with for the Holy Spirit and then go tell others the Good News about Him! Then Jesus ascends into the sky! Some doubt the authenticity of this account by Luke. But what else could have happened? No other alternative is viable, particularly given what Jesus himself has said in John 16v5-7 "But now I am going away to the One who sent me, and not one of you is asking where I am going. Instead, you grieve because of what I've told you. But in fact, it is best for you that I go away, because if I don't the Holy Spirit won't come. If I do go away, then I will send him to you." And even after Jesus had vanished into the clouds, the disciples still gathered around looking into the sky for Him to return! So two angels came and said to the disciples in Acts 1v11 "You men of Galilee, why do you stand looking into the sky? This Jesus, who was received up from you into the sky will come back in the same way as you saw him going into the sky." From there the disciples returned to Jerusalem and waited. They didn't have to wait long! Only 10 days! Then the Holy Spirit came, filled them and started living within them as part of the fulfilment of the New Covenant we have talked about. Just as it was for those 12 disciples, so it is with all believers down through history. But more about that - next time on Partake! G'day and welcome to Partake! We are now on day 24 of our series "Glimpses", looking at the story of the Bible in 30 days, from the time of creation through to the time of the fullness of redemption! Last time we looked at the significance of Jesus' death. Today we look at what happened next! The story so far! Jesus Christ has died as a common criminal and been buried in a garden tomb guarded by Roman soldiers. His followers, his disciples have abandoned him, no doubt in fear for their own lives. They had given up everything to be with this Jesus, following him in his 3 years of ministry. What would they do now? Go back to the lives they had before they followed this man, Jesus Christ. He was just another false messiah and there had been plenty of them. Or was he? Each of the four Gospels, Matthew, Mark Luke and John, tell us that Jesus was crucified, died and was buried in a tomb. What do these four Gospels say about what happened next? Firstly, what did Jesus predict about what would happen, as he often talked about his death! An example of this can be seen from reading Mark 8v31 Then Jesus began to tell them that the Son of Man must suffer many terrible things and be rejected by the elders, the leading priests, and the teachers of religious law. He would be killed, but three days later he would rise from the dead. So Jesus predicted he would rise physically from the dead! WOW! Let us firstly look at the sequence of events over the period of time after Jesus death. And where is the body of Jesus? Was it stolen? Unlikely under a Roman guard! Was it 3 days? Yes! But not a literal 3 x 24hours! There was the rest of the Friday (1 day), all of Saturday (2 days) and part of the Sunday (3 days). Let's look now at his appearances! and then to the other women (Matthew 28v9-10! Then the women report to the disciples in haste (Mark 16v10-11, John 20v18)! The Roman guards testify to the Jewish priests about what they knew (Matthew 28v11-15)! Then as two people are walking along the road to Emmaus, Jesus greets and talks to them (Mark 16v12-13, Luke 24v13-32)! Then Jesus appears to Peter (1 Corinthians 15v5). The 2 men who met Jesus on the Emmaus Road report back to the disciples in Jerusalem (Luke 24v33-35)! Finally, Jesus appears to his disciples, but Thomas isn't there (Luke 24v36-43, John 20v19-24)! When the disciples meet up with Thomas they tell him that they have met with the risen Jesus but Thomas doubts it unless he sees with his own eyes (John 20v25)! Jesus then appears to the Disciples again and this time Thomas is there (Mark 16v14, John 20v26-29). Jesus goes on to appear to seven people (John 21v1-14), then 500 people (1 Corinthians 15v6). Then finally, Jesus appears to James: (1 Corinthians 15v7). So, not only from the Gospels as you may have observed, but also one from the letter to the Corinthians. That was a letter written by Paul, but we come to him later in the series! Oh that's all very well, but what further evidences do we have for this resurrection of Jesus Christ? The changed attitude of the disciples after seeing the risen Jesus - from defeated, cowardly people to being victorious and, brave. Nobody who could have produced the dead body of Jesus, did so. Their silence is as significant as the words of the eyewitnesses. The multiple appearances of Jesus to various numbers of individuals and groups of people, all at various times of the day and in differing circumstances. The survival, growth and impact of the early church. If there was no bodily resurrection of Jesus' would people really have risked persecution and death for knowing a lie? Maybe a few would but not masses of people! It was a physical resurrection and not merely a spiritual one as some suggest! Jesus was touched physically, involved in conversation and even ate food! The greatest evidence though for the bodily resurrection of Jesus Christ is the very existence of the church itself and its being embedded in history. If the bodily resurrection of Jesus Christ wasn't the catalyst for the start of the church, what was it and would it have lasted 2000 years so far? How do we deal with those who doubt Jesus bodily resurrection and rising from the dead. Let's say Jesus didn't rise from the dead. Surely the authorities, either Roman or Jewish, would have produced his dead body in order to quench the new movement! But they didn't. The Romans wouldn't have wanted any more trouble from the Jewish people and the Jewish hierarchy would have wanted to squash the very notion that Jesus was the Messiah who had bodily risen from the dead. Would the disciples have really risked death for telling and maintaining a lie about the risen Jesus? They were beaten, confused and defeated men until they saw that Jesus truly did rise physically from the dead. After seeing Him, they were transformed and victorious people. Somebody stole the body. Hardly likely, and if that did occur, for what reason? How would they have got past the Roman Guard and moved the stone a great distance from the tomb? The tomb was sealed to prevent tampering as well. An impossibility! Some say that Jesus didn't die but merely fainted and recovered consciousness in the tomb. Even the sceptics disagree with this theory, one of whom said "It is impossible that a being who had stolen half-dead out of the sepulchre, who crept about weak and ill, wanting medical treatment, who required bandaging, strengthening and indulgence, and who still at last yielded to His sufferings, could have given to the disciples the impression that he was a Conqueror over death and the grave, the Prince of Life." Or I suppose they all went to the wrong tomb. Whilst one person may have gone to a wrong tomb, not everyone would have done. And again the authorities, Roman or Jewish, would have shown the body in order to dispel the rumours! So Jesus really did rise from the dead, in a bodily resurrection! So what? The bodily resurrection of Jesus Christ provided the central theme for the sermons and teaching in the early church (Acts 1v22; Acts 4v33, Acts 17v18). But what significance is there in Jesus' resurrection? The resurrection proved and vindicated all Jesus' teaching and claims as the suffering Servant and attested to his being fully God and the last Judge of all mankind (Isaiah 53v10-12; Acts 2v36; Acts 3v13-15; Romans 1v4). The resurrection declared God's approval of Jesus' obedient service and the fulfilment of all the Old Testament promises that we looked at! This results in forgiveness of sins and salvation being only found in and through Jesus Christ, which was the prime motive for evangelism in the early church (Acts 2v32, Romans 4v24-25) It is vindication that Jesus is greater than Abraham or Moses! The bodily resurrection of Jesus Christ is proof evident of the I AM claims: He is truly the bread of life, the light of the world, the gate and the good shepherd, the resurrection and the life, the only way, the only truth and the only life! Jesus' resurrection is a sign of the bodily resurrection for all believers in him, giving a new attitude to death and transforming hopes to all those who partake of his offer (1 Corinthians 15v12-58, Romans 8v10, 2 Corinthians 4v14; 1 Peter 1v3 & 21)! More about this to come! As the resurrected King, Jesus now intercedes for us and has perfected the redemption of all those who choose to follow him (Romans 5v10; Hebrews 6v20, 1 Peter 1v21). More about this too later! Jesus has died and risen physically again! But what next? Is that all? Oh no! There is more yet to come in our story tomorrow! Thank you. G'day and welcome to Partake! 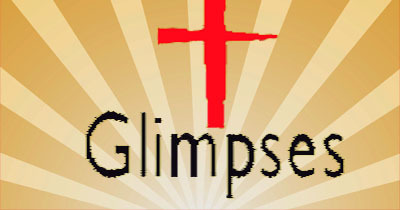 We are now on day 23 of our series "Glimpses", looking at the story of the Bible in 30 days, from the time of creation through to the time of the fullness of redemption! Last time we looked at the beating, humiliation, scourging, crucifixion, death and burial of Jesus Christ - . Today we look at the significance of Jesus' death. As we have seen through this series, throughout history, God had made covenants with: Adam & Eve, Noah, Abraham, Moses, David and the nation Israel through the New Covenant. From the time of Adam & Eve's disobedience, God had promised through these covenants, that He would make things right once more and people could be restored to relationship with Him on an individual basis. When Jesus Christ died on the cross, that was the fulfilment of those covenants. That's why he yelled "It is finished! Into your hands I commend my Spirit!" Can you remember back and see what promises God made concerning in each of the covenants? Lets look at the last of these covenants: the New Covenant. This New Covenant is to be contrasted with the Old Covenant or Mosaic covenant as we have called it so far, because this New Covenant finalizes what the Mosaic Covenant could only point to: the follower of God living in a life conforming to God's holy character - and that only through the death of Jesus. How is this so? Moses to the Jews was a super-hero and revered because it was to him that God revealed His will, law and face! Moses was the key figure in the establishment of Israel as a nation! Moses had great zeal for God and was willing to sacrifice everything for God. He had fellowship with God. It was this Moses who was held in such high regard by the Jews. Yet all this is merely a shadow and a sign of what was to come in Jesus. God's long promised Messiah would need to be greater than Moses! Was this Jesus? Lets go see! Under the Mosaic or Old Covenant, Moses and Aaron represented God's house in Israel; Moses was the Apostle or Prophet and Aaron was the High Priest. Jesus, an Apostle and Prophet as well as being the High Priest, joined the two together. By Apostle, I mean as a Messenger - that's what an apostle is - a messenger or representative. As the Apostle of our faith, Jesus was faithful. Jesus was God's representative for us, making God known to us. Jesus was totally faithful, means to be both trusting and to be capable of being trusted. Moses was the one to whom the Law was given - the Mosaic covenant under which the Jewish people lived. This covenant with Moses commenced with the stipulation "Now if you will obey me and keep my covenant, you will be my own special treasure from among all the peoples on earth; for all the earth belongs to me" (Exodus 19v5). This covenant was to Israel in order that those who believed God's promise to Abraham, could know how to live how God wanted them to live. The decrees dictated their religious life so that God could be approached by humanity on His terms (Exodus 24v12 - 31v18). This Old Covenant was never meant to be as a means for providing salvation but Israel was meant to be a shining light to the nations of their God! It was given so that they could realize the helplessness and futility of their own efforts and their need of God's help. It was to serve only as a protective fence until the long promised Messiah came; the long waited for Saviour of all humanity, so that the whole world, Jew and Gentile, could be made right with God through faith and faith alone. And that is where Jesus comes in. As the Messiah and Saviour, Jesus ushered in the New Covenant, which was promised by God. Remember Jesus spoke about Himself in this role - a lot! And his claims were backed up with action! Provided a covering for sin. Showed the great cost of sin. Was an exchange or substitution. Was only always going to be a temporary measure, as it pointed forward to the Messiah and until that time, it needed to be done over and over again. So how is Jesus better than Moses? The answer lies in the solution to sin. The ultimate solution to sin lies not in the continual animal sacrifice under the Old Covenant with Moses. This is because the blood of animals cannot take away sin but was only ever going to be a veneer or a covering. That was why it was necessary to repeat time and time again! So we see, it is only through the victorious death of Jesus, that sin is permanently taken away, because Jesus is the permanent sacrificial substitute! How is this related to the New Covenant? Remember from a couple of days ago when Jesus said at on his last night "This is the new covenant." The new covenant is a new meal, in order to remind his followers in every age about the work of Jesus Christ on the Cross. In the new covenant (Luke 22v20) Jesus claims that his death was spoken about by Jeremiah (Jeremiah 31v33-34). It was a new covenant in which God's people will be able to know him intimately, for their sins will be forgiven. When ever we eat the bread and drink the wine, we remember symbolically Jesus' death on the cross. Some say the bread and wine, mysteriously turn into the actual flesh and blood of Jesus Christ, but this cannot be so. For if that were to be so, the sacrifice would be seen to be done again and again: Jesus would be being re-sacrificed and that is untenable! According to Hebrews 7v27, talking about Jesus' death on the cross: "For he did this once for all, when he offered up himself." The sacrificial death of Jesus was a one time event and the bread and wine are symbolic of that one sacrifice. Jesus often talked symbolically such as when he said he was the bread of life or the living water. This new covenant was sealed only through the perfect sacrifice of the God-Man Jesus on the cross. His blood ensures the truth of this New Covenant. This New Covenant, sealed by Jesus' death, finalizes what the Mosaic Covenant could only point to: the follower of God living in a dynamic relationship with God. 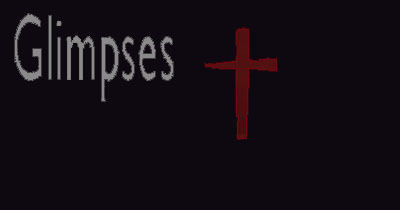 The death of Jesus on the cross, epitomises God's glory. Jesus Christ, simultaneously fully God and fully man, died on a Roman cross. He took on the sins of the world, paying the greatest price, so that people could choose to be restored to a dynamic relationship with God the Father. But the story doesn't finish with Jesus dying as some tragi-hero on the cross! Oh no! There is more to come! For Jesus said something about being raised on the third day and that he was the resurrection and life? How could this be if he was dead and buried? But for that you will have to wait until tomorrow! Thank you! G'day and welcome to Partake! We are now on day 21 of our series "Glimpses", looking at the story of the Bible in 30 days, from the time of creation through to the time of the fullness of redemption! Last time we looked at Jesus at prayer. Today we look at the events leading to his death and burial. So firstly lets look at Jesus' condemnation before the Romans. Reading from John 19v1 to 16: Then Pilate took Jesus and had him flogged. The soldiers twisted together a crown of thorns and put it on his head. They clothed him in a purple robe and went up to him again and again, saying, "Hail, king of the Jews!" And they struck him in the face. As soon as the chief priests and their officials saw him, they shouted, "Crucify! Crucify!" The Jews insisted, "We have a law, and according to that law he must die, because he claimed to be the Son of God." When Pilate heard this, he brought Jesus out and sat down on the judge's seat at a place known as the Stone Pavement. It was the day of Preparation of Passover Week, about the sixth hour. Pilate was the Roman Governor of Judea and he had the power to release or condemn any prisoner. It was he that made the decision and gave the order for Jesus to be crucified. Pilate gave into the whims of the Jewish religious leaders and the baying crowd, permitting the flogging and mockery of Jesus in the hope of shaming his accusers (John 19vs. 1-3). Pilate even affirmed Jesus' innocence after the scourging (John 19v4). Jesus' refusal to answer stung Pilate into reminding Jesus of his Roman authority (John 19v10). Jesus, however, corrected Pilate's idea of authority and told him that although Pilate may have power on earth, his power did not reach beyond earth (John 19v11). Jesus knew that his work of bring people back to God in a loving relationship did not rest on the actions of a mere Roman governor. Pilate was more concerned with his own position than he was for justice. So Jesus was condemned to die. Now lets look at John 19v17-24 and Jesus' crucifixion. Reading from John 19v17-24: Carrying his own cross, he went out to the place of the Skull (which in Aramaic is called Golgotha). Here they crucified him, and with him two others-one on each side and Jesus in the middle. Pilate had a notice prepared and fastened to the cross. It read:JESUS OF NAZARETH, THE KING OF THE JEWS. "Let's not tear it," they said to one another. "Let's decide by lot who will get it." "They divided my garments among them and cast lots for my clothing." So this is what the soldiers did. Jesus bearing his own cross, was killed as a common criminal (John 19v17). Despite that, even when he himself was in utter agony, Jesus showed concern for his mother, committing her into the care of the Apostle John (John 19v26-27). The site of crucifixion was purposely chosen to be outside the city walls because the Jewish Law forbade such acts within the city walls. For sanitary reasons, the crucified body was often left to rot on the cross, a disgraceful reminder of what happened to criminals and serving as deterrent to passers-by. Jesus face had been beaten beyond recognition and the scourging had reduced his flesh to something like raw hamburger mince. The whips used had pieces of glass and rocks stuck to the cord so as to inflict as much damage as possible. He had a crown of thorns pushed into his scalp. Jesus finally dies in utter agony, humiliation and disgrace. Let us look together at John 19v28-37. Reading John 19v28-30 Later, knowing that all was now completed, and so that the Scripture would be fulfilled, Jesus said, "I am thirsty." A jar of wine vinegar was there, so they soaked a sponge in it, put the sponge on a stalk of the hyssop plant, and lifted it to Jesus' lips. When he had received the drink, Jesus said, "It is finished." With that, he bowed his head and gave up his spirit. In Jesus' final moments he uttered "I am thirsty." (John 19v28) and "It is finished." (John 19v30). The desire of the Jews (John 19v32) to fulfil their rituals was important because the Sabbath fell within the Passover festival. The breaking of legs (John 19vs.32-33) sped up the process of death. The piercing of Jesus' side and the flow of blood and water proved Jesus was really dead (John 19v34). At the cross, Jesus' mission is accomplished. At the cross, this God-man, Jesus Christ paid the penalty for all sin of all time. We will come to look at how this can be this later in the series. Some people say that Jesus didn't die on the cross, but rather somebody was made to be His substitute. But this is impossible. Nobody could have been a substitute or the Jewish leaders would have said so. The Romans were renowned for keeping strict discipline and regimen and nobody would have been able to get in amongst the Roman soldiers and somehow substitute themselves for Jesus. Yes, somebody else carried the cross for Him, but nobody but Jesus was nailed to that cross. Jesus died on that cross and not some substitute. Reading John 19v41-42 At the place where Jesus was crucified, there was a garden, and in the garden a new tomb, in which no one had ever been laid. Because it was the Jewish day of Preparation and since the tomb was nearby, they laid Jesus there. John 19v38-42 tells us of Jesus' burial. Two men, Joseph of Arimathea and Nicodemus buried Jesus in an unused tomb. The significance of "in which no-one had ever been laid" (John 19v41) is to demonstrate that the body of Jesus at no point came into contact with the decay of a dead body. But that is not the end of the story! Oh no! There is more to come as you will see! Thank you!